One of the goals of Nautilus Book Awards is to energize the interconnections between books, authors, publishers, and readers, and to be responsive to the world through words. Three decades ago, several professionals in the U.S. publishing industry recognized that significant new cultural movements were emerging, but were barely visible. Marilyn McGuire was an individual who saw the vital need in early 1990’s for greater support for these new fields. She and several other pioneers decided to “create an opening” for articles that would publicize ideas such as the emerging environmental and sustainability movement, and the next wave of feminism and healing between genders, as well as diverse approaches to spirituality (both new and ancient), and reports of practical efforts in social justice with focus on multiculturalism. With the assistance of two colleagues, Matthew Gilbert and Michael Weaver, Marilyn launched the magazine NAPRA (New Alternatives in Publishing and Retailing) to support efforts by authors, publishers, and bookstores. They published the magazine with the intention to highlight the new “shift” that was emerging in our culture. By 1997, these individuals, plus Patty Monaco as a fourth, decided to branch out and provide additional impact for these emerging fields. They created a book awards program with the purpose to celebrate excellent Books on the growing-edge of culture —including an expanding range of book-publication types. Thus, in summer 1998, Nautilus Book Awards was born. During the next few years, Nautilus grew steadily as a platform for both first-time and experienced authors and publishers to have their books recognized as seeds to help the world-shift that was necessary and indeed crucial to bring forth healing for life on Earth. In 2000, Nautilus increased the recruitment and training of other professionals as volunteer Reviewers to serve with the book awards program. Thus, the Second Chapter of Nautilus initiated a tradition of encouraging teachers, wisdom-keepers, professors, engaged parents and librarians, and leaders in their fields to serve as Reviewers. During this period of growth, the intention of the program's staff remained to keep a heartful and welcoming tone while focusing mindful attention on the comprehensive and sensitive assessment of each Book Entry. In the decade 2004- 2014, the leaders of Nautilus kept their commitment to grow and expand the vision - to recognize and celebrate Better Books for a Better World. It was during this decade that many Authors and Publishers began taking more responsibility for their books as tangible and potent seeds of a better world - a world that values significant steps in sustainable practices, that recognizes the integration of body, mind, & spirit, that celebrates streams of spiritual awakening from Eastern traditions, from Western traditions, and from Indigenous traditions; and that encourages positive social action for greater justice in many aspects of our culture. 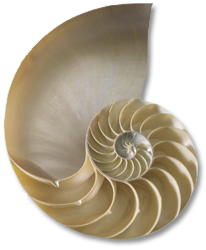 Four years ago, the Third Chapter of Nautilus emerged: Marilyn decided to retire. In early 2015, she passed the torch to the new Director, Mary Belknap — Educational Psychologist, author, and life-long lover of books. Both Marilyn and Mary extend a salute to our colleague and friend, Cynthia Frank, principal of Cypress House in California, who introduced us professionally - and thus helped co-create this next evolutionary step for Nautilus! Identified additional Categories to reflect conversations in the larger culture and in our communities; e.g, Social Sciences & Education; and USA and Global Cultures Spiritual Growth & Development; and Lyric Prose. The larger categories, Fiction and Memoir and Personal Growth, have each been divided into two segments by publisher-type: one segment is Self-Published & Small Press books; and the other segment is books by Large Publisher. This step has been welcomed by authors and publishers alike, because it reflects Nautilus’ support of Authors in their diverse relationships with publishers. In addition, Nautilus now recognizes the newer publishing form, Hybrid-Publisher. Each September as the Nautilus season begins, the Advisory Group and Director review the Nautilus Category Descriptions. These descriptions do evolve as the greater cultural conversation grows; and the aliveness of the Categories assists Authors and Publishers to identify where their book(s) fit into the larger growing patterns and relationships of Better Books for a Better World. Nautilus has truly become an international Book Awards program during the past five years. We welcome and encourage entries from other nations (for books printed in English); and in fact, during 2016, we received entries from twelve other nations as well as the USA. When we offer Training workshops for new Nautilus Reviewers, we emphasize the Vision with which the program began 20 years ago: The Reviewers are asked to consider how one or more of the four Nautilus Core Values are expressed through each book’s message. These core values are: Health & high-level Wellness, Green living & Sustainability, Spiritual Growth, and Positive Social Change & Social Justice. During the past season, we also initiated a student-intern part of the program. We offer opportunities for high school students to learn about new themes that are emerging in publishing, particularly in Young Adult (YA) books. And we encourage cross-fertilization of ideas between these young people and the regular Reviewers. As the cultural conversation has deepened in the past two decades, Nautilus has been continually responsive to these changes. In our 2018 season, the Nautilus team of reviewers, judges, staff, and volunteers is committed to practicing the four core values in all aspects of the program. We are grateful for the opportunity to help grow a world that we want our children, grandchildren, friends, and ourselves to live in and flourish. The Nautilus Story continues — our goal is to energize the interconnections between books, authors, publishers, and readers, and to be responsive to the world through WORDS. We wish to contribute to the greater platform where new alternatives are not only possible, but inevitable as the human imagination emerges in greater creativity, coherence, inter-connections, and peace-making, for the good of all. Blessings to you, dear readers, for your own creative journey in the field of books and beyond.